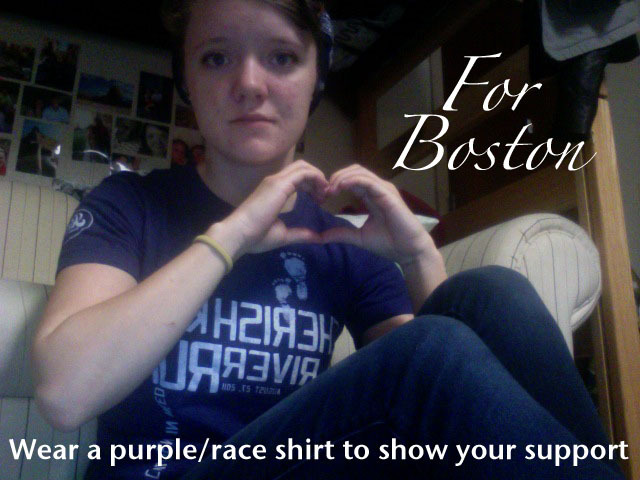 Today I'm wearing a purple race shirt for the victims of the bombings at the Boston Marathon yesterday. I've been praying for you guys and all of Boston since I heard. I can't imagine how scary that would be, and I'm so sorry for those who have lost loved ones. I'll still be praying for those who are injured, too. And some wounds cut deeper than skin; I'll be praying for holistic healing for everyone in Boston. We love you and support you!